Working with hazardous chemicals was once especially dangerous because some employees didn’t know exactly what they were dealing with. But in 1992, the United Nations established the Globally Harmonized System (GHS) of Classification and Labeling of Chemicals. 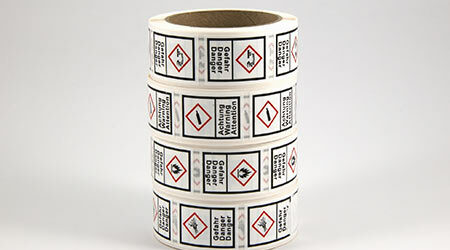 It is now an internationally-recognized standard for labeling containers that hold hazardous materials. In March of 2012, the Occupational Safety & Health Administration (OSHA) aligned its existing communication standard with GHS. The United Nations began encouraging countries to adopt the GHS program in 2002, when it sought to build the infrastructure to control chemical exposures with a more comprehensive system. Since its inception, more than 70 countries have converted to some version of GHS. By transitioning to GHS, OSHA wanted to remove the inconsistencies that have complemented the rise of global commerce. But five years later, some companies are still looking for help with the standards.